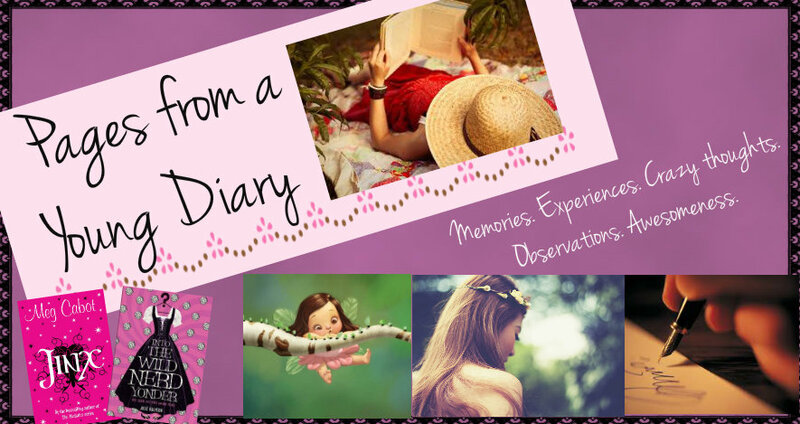 Pages from a Young Diary: I don't know why I'm writing this. I should SERIOUSLY be working right now! I don't know why I'm writing this. I should SERIOUSLY be working right now! What's up with the loooong titles I have these days? I mean, have I become so lazy that I wouldn't even want to wait a few seconds to think of a creative, short-yet-meaningful title? Oh wait, yes I have. :| Not that I care much, because this is one of those times when I seriously cannot stop typing. I just need to. Like, "need" to. Even though I also desperately "need" to shut down all these tabs and work, because it is nearing midnight and I have to actually "go" to work tomorrow. But anyway, blogging rules! So yeah, I'll sacrifice some sleep, which in itself is a huge feat, so you can guess how important would be the work I have (yet I prefer to blog), and slog some time working after I'm done with this post. Pic credit: Somewhere from Google! Now. I should seriously get back to work. Or else either this penguin will eat me up - and I'd be found in this mug in the morning - or I'd have to lose my precious sleep, which makes me a *very* dangerous person to mess with. Ciao! Thanks for your lovely comment, will definitely check out your blog! Congratulations on your job! It's always great to be able to do the kind of work you love and I'm so happy you were blessed with that opportunity. 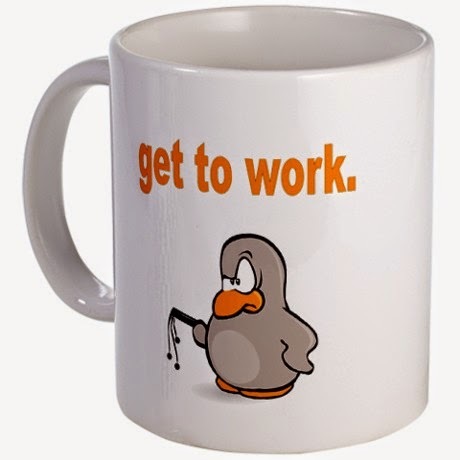 That get to work mug is real cute.